Balkhi are medium to large sized sheep originated from Afghanistan and North-western Pakistan. They are a fat-tailed mutton type sheep. They areraised mainly for meat production, but they are also good for producing wool. Balkhi sheep are hardy and are well adapted to their native climates. They have a low fiber density, and they approximately yield 2 kg of coarse wool with an average 43.5 micrometer diameter. The ewes are pretty good milkers and they produce enough milk for their lambs. The ewes generally lactate for about 105 days and produce around 60 kg of milk. They are black, grey, or tan. They have somewhat long ears, and their body is muscular and compact. 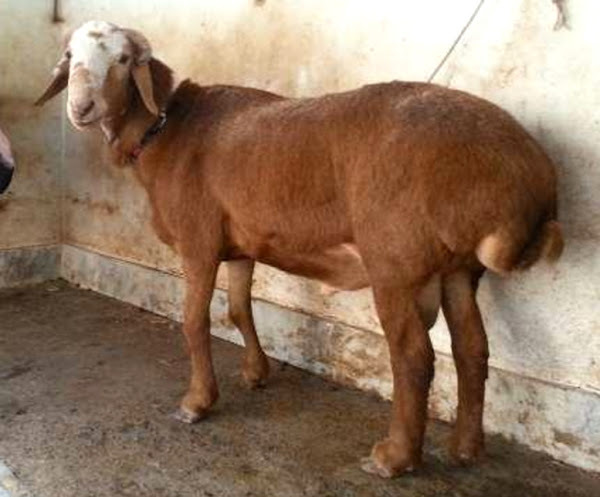 Their tail is fat and tucked, and both rams and ewes are horned. The rams generally weight around 5.2 kg at birth, and the ewes around 3.8 kg. The average body height of the mature rams is around 87 cm at the withers, and around 74 cm for the ewes.